The recipe was super simple. 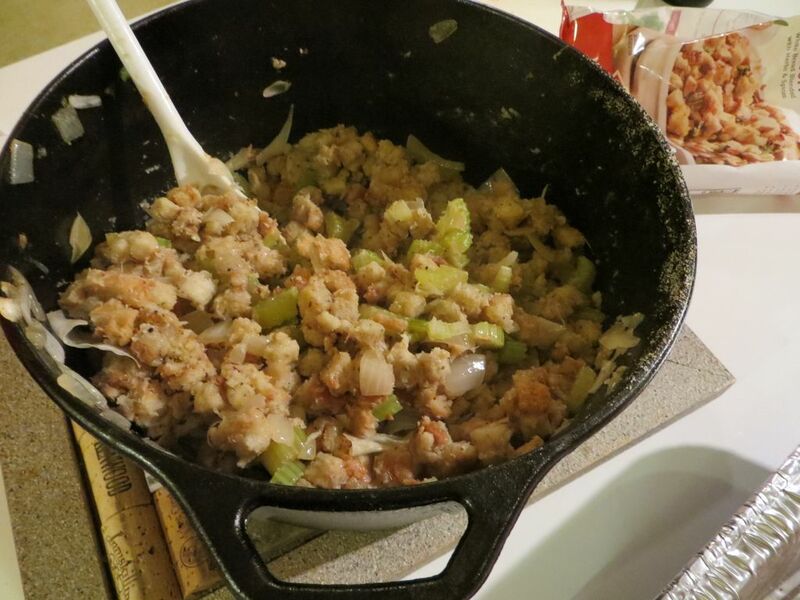 Also, because it’s oven roasted turkey, this KCCGD household does stuffing inside the turkey. Yeah, I know it can be trouble for dryness or even food poisoning, but the flavors produced in the bread from the turkey makes it worthwhile. 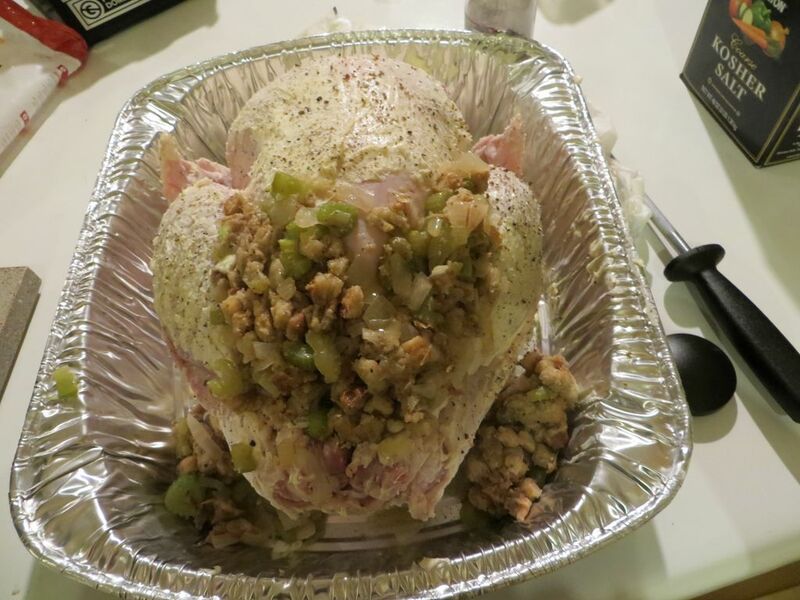 The recipes were straight ballin’ from allrecipies: Bread and Celery Stuffing and A Simply Perfect Roasted Turkey. Let bread slices air dry for 1 to 2 hours, then cut into cubes. Chill, and use as a stuffing for turkey, or bake in a buttered casserole dish at 350 degrees F (175 degrees C) for 30 to 40 minutes. Place turkey in the oven, and pour 2 cups turkey stock into the bottom of the roasting pan. Baste all over every 30 minutes with the juices on the bottom of the pan. Whenever the drippings evaporate, add stock to moisten them, about 1 to 2 cups at a time. Remove aluminum foil after 2 1/2 hours. Roast until a meat thermometer inserted in the meaty part of the thigh reads 180 degrees F (80 degrees C), about 4 hours. But it can take more if you want to wait for the pin from the turkey to pop. So we had some sides with this thing and I’m not going to mention them all. I will mention the tasty beer that we had during this roast fest was a Boulevard Bob’s 47 Oktoberfest. 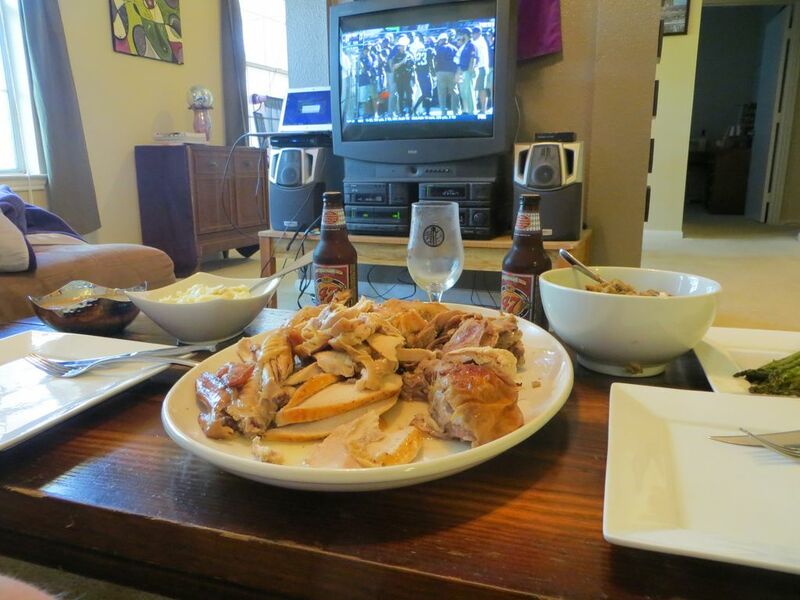 The richness in flavor from the beer matched will with the wholesome taste that a simple roasted turkey brings. Including all of the sides. But we have games to talk about. So Top 25 wise I really don’t remember watching anything because I was passed out half of the day. Yeah, well, I had all of that turkey in the morning so I can’t be held accountable for the rest of the day. I did barely stay awake for that upset by LSU over Ole Miss. Hey it was on the road for Ole Miss so it was alot harder for Bo and company. Big 12 had some interesting results over the weekend, even though there were three games. First off, we have West Virginia just putting it on Oklahoma State. They are in the Top 25 now and ESPN College GameDay is coming out next week. Oh, did I say putting it on? Well TCU put one on and send it straight into the heart of the sun with the cosmic thumping they put on Texas Tech. 82 points is a Big 12 record thanks to the likes of Trevone Boykin. Woof. So the last game of the Big 12 was also the one I dedicated the turkey too. 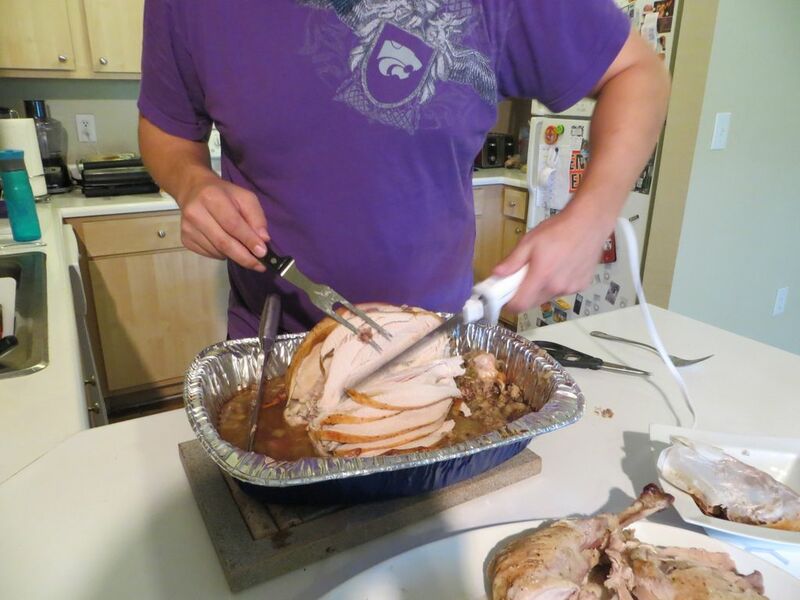 Kansas State hosted Texas and because of that, I roasted a Texas Turkey. Why a Texas Turkey? Because the Longhorns laid a turkey by being shut out against Kansas State. I knew that it’s a rebuilding year for the Longhorns, but I did not expect them shooting blanks after the shootout they had last week against Iowa State. I’ll take it, though, especially since Kansas State did it more with running (without Jake Waters) than throwing. I’ll also take a Texas Turkey with sweet stuffing, tasty sides, and great beer. Next week we get official rankings and it will be a beautiful thing seeing Kansas State in the conversation. I may hold all turkeys until next month, though.